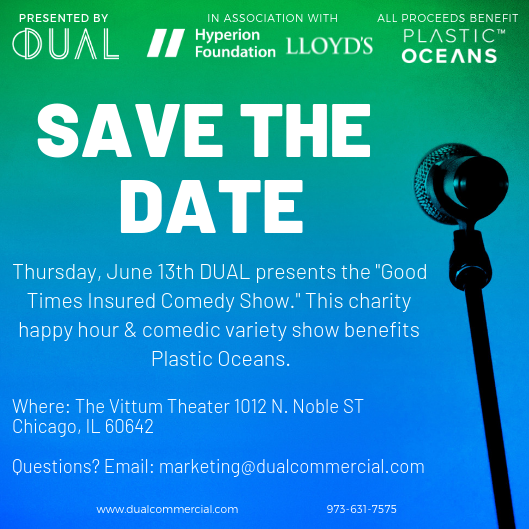 DUAL Presents, "The Good Times Insured Comedy Show"
Save the date, June 13th 2019 we’re hosting a comedy show in Chicago, IL at The Vittum Theater that is going to have you laughing all night long. Plus, all of the proceeds will go to Plastic Oceans to help aid in their mission and save our seas from plastic pollution. There's a networking happy hour before the show at 5 PM and the performance begins at 7 PM. Save the date!